A great fun event of Sprint Racing, along the same lines as done at Rutland SC. 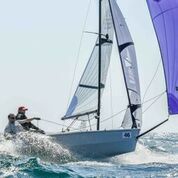 2nd of the Rooster & Zest RS400 Southern Tour for 2019. £35/boat. Race brieifng 1130hrs Saturday. Racing scheduled from 1230hrs Saturday and 1100hrs Sunday.